Over the last few weeks, all of us on the illustration course have been putting together a publication to raise both funds and awareness for 'The Wellspring'; a resource centre for homeless and disadvantaged people, located in Stockport. 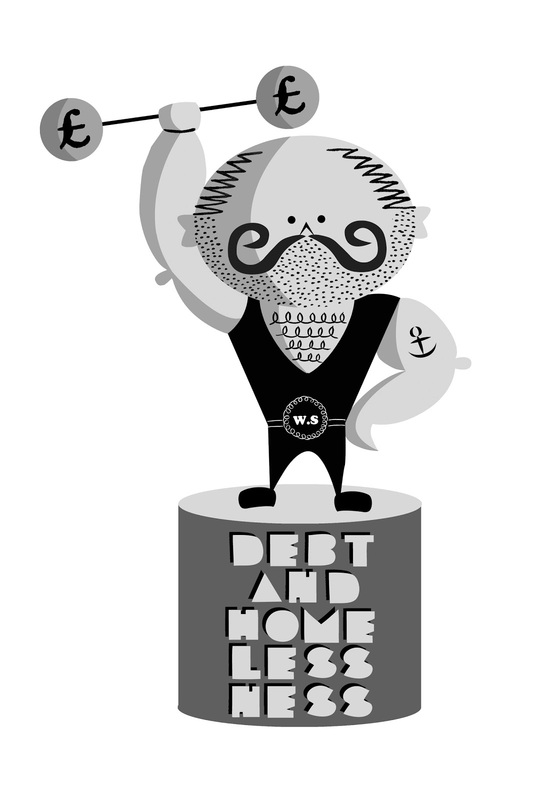 The issue that I was asked to represent was 'Debt and Homelessness': Debt is one of the biggest causes of Homelessness in Stockport and one of the biggest barriers to people becoming housed. The Wellspring provides a ‘money management’ and ‘budgeting finances’ course. They also provide one to one benefits support and will help people write a budgeting plan.